When a kitchen staff member logs in, the first thing they see is the totals for the day. 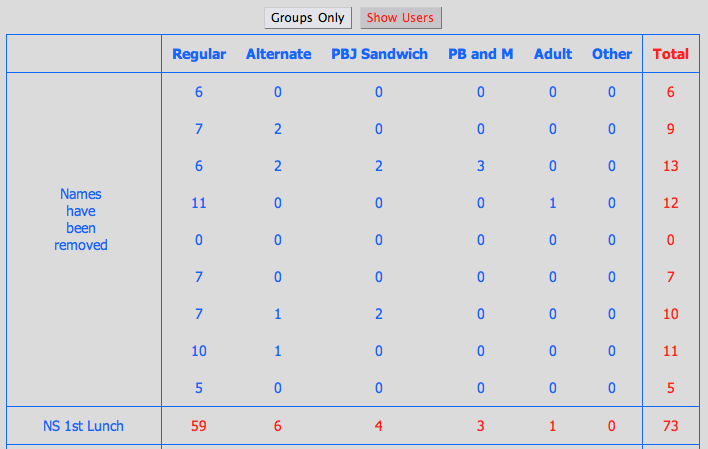 The default view is to show only group totals. The second view option is to show individual user entries. By clicking the Show Users button, the view changes and users are shown according to the group they are in.